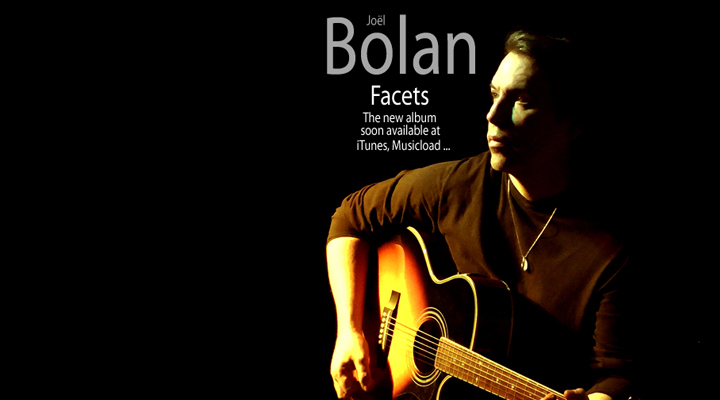 Joel Bolan singer, guitarist, composer, arranger, producer! based in Germany (Frankfurt am Main).A musical world of Britpop, BritRock and classical arrangements. Joel Bolan was born at the end of the 60s with the surnames Ramone and Bolan in a family background full of artistic affections. In his early years, he showed his abilities in music, painting, drawing and poetry. He chose his mother’s maiden name Bolan for his artistic career in order to avoid confusion with Joey Ramone, member of the group The Ramones. Later, while he was working at a radio station, he learnt that the leader of the band T. Rex, Marc Bolan, had the same surname. Again, many people thought Joel had changed his name, this time due to Marc Bolan. It was not until he was 13 that he bought his first album and discovered British rock music which he chose as his future musical direction. He bought his first acoustic guitar and played all his favorites. Soon he started to compose his own songs and learnt to play electric guitar as well as many other instruments. He studied classic rock guitarists such as Jimi Hendrix, Eric Clapton and Jimmy Page. After a while much of his music included more electric sounds but on the whole his main ballads remained acoustic. In 1992, he left the rock and pop music scene after the birth of his son Hendrik. His love for music added another string to its bow when he started to study compositions and arrangements by Mozart and Beethoven – numerous classical compositions were the result of this. His “Wiener Quartett" received a mention at a composer competition in Vienna. 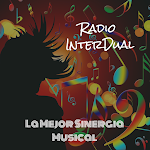 At this time he composed several classical works, for example “Mass for Soprano and Organ”. He also composed music for films and plays, blending elements of both classical and rock music. In 2007, when Joel Bolan started a comeback in the rock and pop music scene as a part of the duo Fervencies, he composed, arranged and produced all their songs. The music resembled the Swedish pop of the 70s. However, this work with Fervencies didn’t satisfy him. His ambition strove for more. Finally, it was his son Hendrik who brought him back to rock music. Hendrik now plays the bass guitar on each recording and on stage. Once again, the love of music runs in the Bolan family. The first result of this comeback was an EP called R.E.V.O.L.U.T.I.O.N . All the songs were accompanied by lyrics in French. The same year, Joel and his fellow musicians played his acoustic program live in France and Germany. Joel’s music caught the attention of several German Radio stations. Interviews followed. not only because of the haunting guitar playing, but because of Joel’s unique voice, MY GARDEN is diametrically opposed to PROMISED WORLD and comes across as happy, jolly sing along song. PRETTY GIRL has a good old fashioned rock and roll feel to it, whereas Joel’s re-make of SPACE ODDITY whilst following the original takes you on a journey with many twists and musical turns.